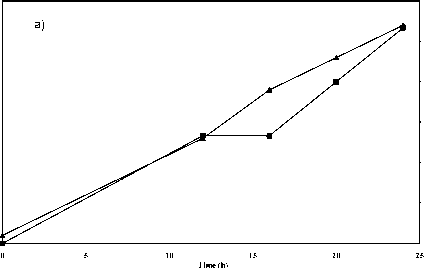 (Egounlety et al, 2002), ice-cream (JuQin et al, 2001), biscuit (Matsuo, 2006) or ready-to-prepare food mixes (Vaidehi et al., 1996). 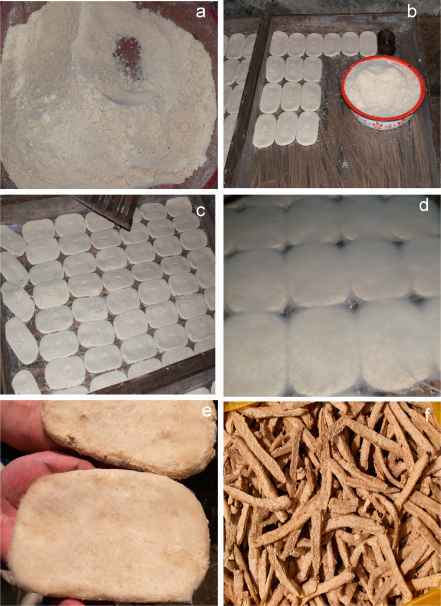 In China, soybean tempeh is milled and mixed with meat to make sausages in order to reduce the use of meat, but still maintain the protein quality (Jujin et al., 2000). 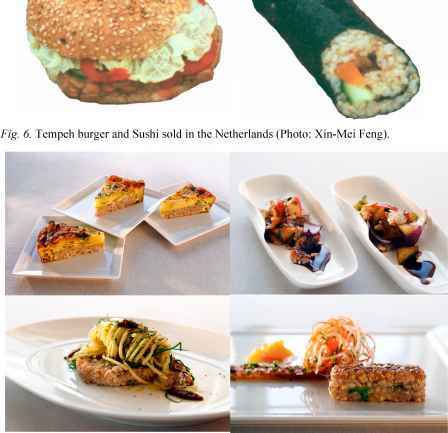 Several dishes have also been prepared from barley tempeh (Fig. 7). Fig. 3. 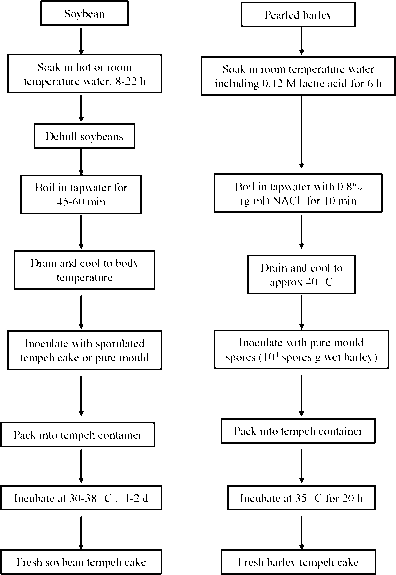 Production processes of soybean tempeh (modified from Hachmeister & Fung, 1993; Nout & Kiers, 2005 ) and barley tempeh (modified from Berg et al., 2001; I). Fig. 4. 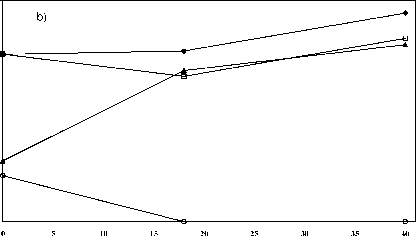 Comparison of pH values and microbial growth in barley tempeh (a, data from I) and soybean tempeh (b, data from Ashenafi, 1991); pH values of barley or soybean tempeh fermented by R. oligosporus alone (♦), or together with Lactobacillus plantarum (in barley tempeh) or together with L. plantarum and Listeria monocytogenes (in soybean tempeh) (□); and the growth (log cfu) of L. plantarum (▲) and L. monocytogenes (o). Fig. 7. Barley tempeh dishes (Photo: Olligon AB).